BARISAN Nasional’s Dr Mazlan Ismail (pic) who lost the Permatang Pauh parliamentary seat to PKR adviser Datuk Seri Anwar Ibrahim said although he lost, the support he received from the Malay community had increased. Dr Mazlan obtained 25,369 votes, while Anwar received 37,090 votes, 11,721 votes being the difference. “Anwar had won by a slimmer majority this time compared to the by-election in 2008 where he won with a majority of 15,671 votes. “This shows that the support I received from the Malay community has increased substantially. “I also received strong support from PAS grassroots with whom I am friends with,” he said. Dr Mazlan said despite having lost to Anwar, he will continue serving the locals by setting up a service centre in the constituency soon to help the poor and the needy and those in need of medical and financial assistance. “There are over 100 bedridden people staying in Permatang Pauh, who are in need of medical help,” he said. Adding that losing was not a problem to him, he noted that the Malaysian politics was experiencing a dangerous trend as a two party racial system is developing. From 1999 to 2004, Dr Mazlan was the Penang PAS election director. 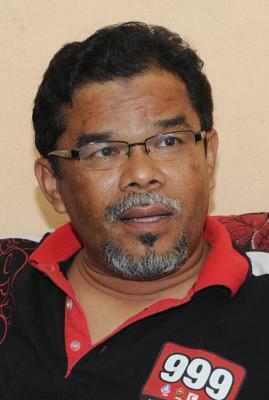 He joined UMNO in 2004 as an ordinary member.